Hey Guys, DreamblitzX here with a quick mod edit for this post. It seems like @DerxwnaKapsyla has been gone for some months now, so unfortunately this mod has been stuck on E17 for a while and migrating saves back and forth has caused some people some issues. Luckily, the legend himself @Waynolt has made an E18 update for you all! The installation instructions are a bit different so be sure to read carefully! What is a sandbox? It's a place that people play in where they can let their creativity and imagination run wild and just do whatever they want. So, lets apply that to video games. A sandbox for a video game is a mode that embraces the openness and creativity of its players, and allows them to play the game however they want. It gives them access to all sorts of tools to allow the player unrestricted control over the gameplay itself. Pokemon Reborn: Sandbox Mode is made with that philosophy in mind. Sandbox Mode adds several Quality of Life features to give the player a multitude of options to customize their play-through. 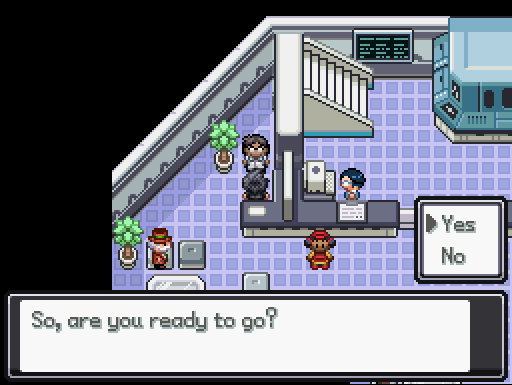 At the start of the game, just after obtaining your starter, you'll be able to talk to an NPC off to the side in the Grand Hall that takes you to the Sandbox's new map, where one will find several NPCs that do a variety of things. From purchasing practically every item under the sun, to being able to grind EVs off of dedicated trainers, to having easy access to the Nature Switcher, Day Care, and Move Tutors all on the same map- it's there and waiting to be used however you want. Sandbox Mode also does not modify any of the existing game content, so you don't need to worry about anything being changed at all! However, for the time being, Sandbox Mode has netplay disabled until Reborn itself is completed. This is for fairness reasons, as players who play Sandbox would have an extra advantage over players not using Sandbox as a result of some of the features. I created Sandbox Mode primarily for the people who want to do customized runs of Reborn. Those types of runs are extremely popular and prolific, and I figured that something like this could definitely benefit those who want to do something like a mono-type run. But honestly, I'm a proponent for people having fun, and giving them the tools to have fun however they want, and as long as they aren't ruining other people's runs, then why not let them do what they want? Pokemon Generator: This will let you generate any individual Pokemon one at a time. 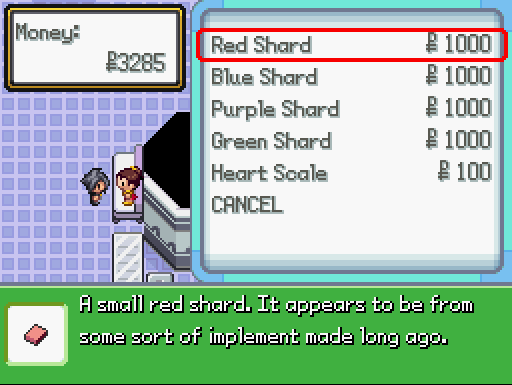 Using this method can allow you to make the resultant Pokemon a shiny. 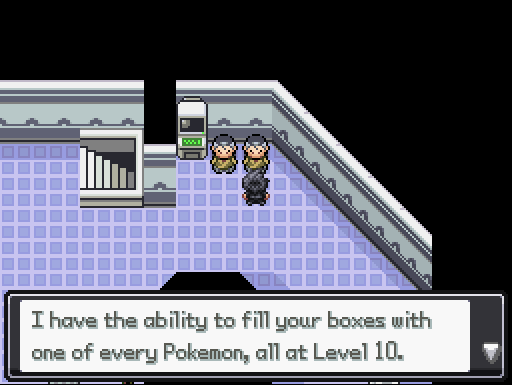 Box Fill Generator: This will fill your boxes with every Pokemon in the Pokedex. This fills up to Box 25, so if you have anything in boxes 1-25 will get overwritten. I'd suggest moving any captures to Box 26-35. Infinite Money Generator: An NPC that gives you money in $3000 increments every time you interact with them. 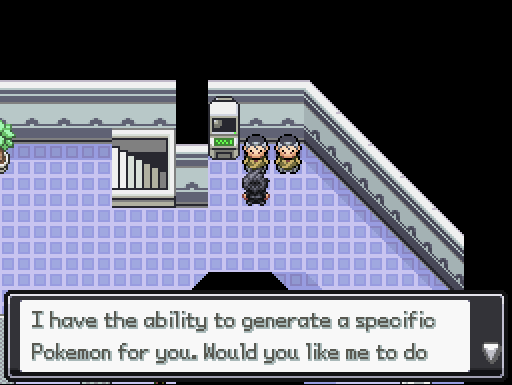 Pokemon Therapist: A copy of the NPC from 7th Street that changes your Pokemon's nature at random. 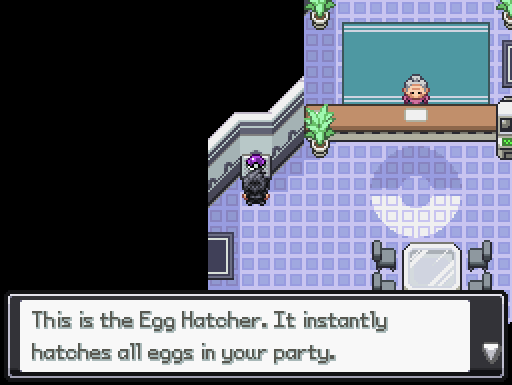 Egg Incubator: An addition to the game that will hatch all eggs in the player's party instantly. 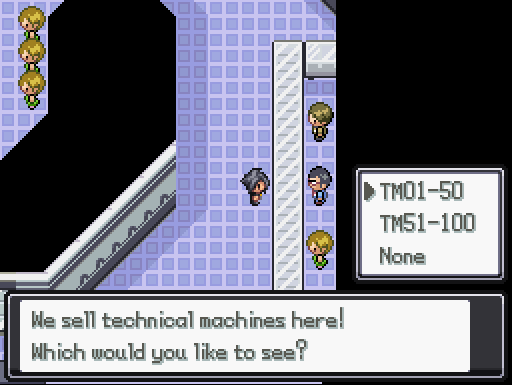 EV Trainers: Trainers with teams that are specially crafted to grind EVs off of. 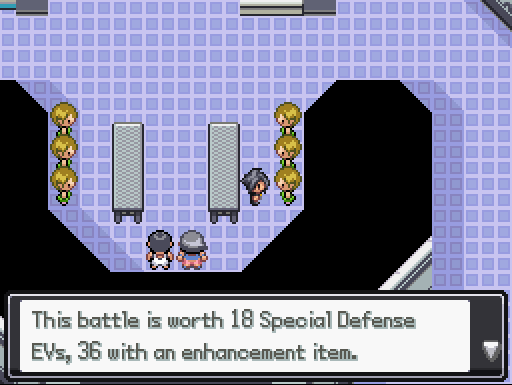 All of their Pokemon are at level 1 and have non-damaging moves making it viable to grind off them at any point in the game. Move Tutors and Relearner: All of the existing Move Tutors and the Relearner have been copied over to this new area for instant access to all moves a Pokemon can have. Item Vendors: NPCs that sell an almost all-encompassing selection of items. The only withheld items are Key Items and stuff that exists only to be sold. ...and stuff I might be missing because there's a lot. And even better, it has Amethyst's personal approval! As an additional note, if you're going to promote the mod, please link back to both this forum thread as well as to Reborn itself. The first one is to ensure people download the up-to-date versions, the second one is out of respect to Amethyst and the other developers of Reborn. Hopefully you guys enjoy, and that this inspires you to do even more things with your runs than before! If you use it, feel free to post about your experiences here or across the community, I'd love to see people make use of this! NOTE: I have not tested actual game content beyond the Grand Hall, but I'm pretty sure that nothing should break. If something does, inform me and I'll look into it and see if I can fix it. This is EXACTLY what i've needed to do certain runs. Bless you kind sir. I'll have the download link up shortly, it's uploading right now and shouldn't take much longer! Oh yeah that's fine, i was just confused. Thanks for the quick reply. This kind of mode is quite good. It makes special runs easier to execute and it gives more time to enjoy the content of the game itself. Good work! The download link has been properly added to the post now, so NOW you can go ahead and enjoy it! wow ame actually allowed so many people to make hacks of her game?? Well now, this is not something I was expecting to see. I'm going to have fun with this. He answers your question in the second paragraph. I would also like to say, if you guys can think of anything else that Sandbox Mode could benefit from, feel free to mention it here. I'll try and look into adding them into later builds if I'm able to! Maybe a guy who can alter the iv's of your mons so that all of us can have perfect iv's?? It is up to Derx, but I don't see the need for it. In the end, all it does is push people to behave like this game is smog on more. IVS affect so little. But if it is going to happen, it would be easier to add in an item to change the stats instead of forcing them to 31. It can be done, but effort. As for additions, a simple one would be to add in either an item or option on the menu to warp to the sandbox area whenever you need to visit there. Then to leave you could have warps or npcs who will warp you to different areas of the game, probably outside of PC or fly zones. It would make traveling a bit easier. I noticed three things that may need addressing in the sandbox area. First, I noticed there is no move tutor for iron head, even though I guarantee one is available in the regular game as I taught it to my excadrill. Second, Dragon Ascent should probably be added to sandbox mode. 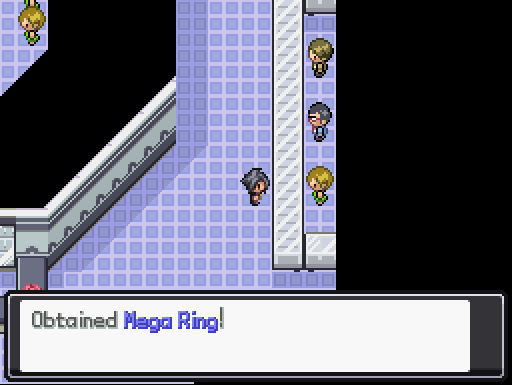 Sure, Mega Rayquaza is stupid OP but all mega stones, TMs, and even the red and blue orbs are available. Besides, balance is not a concern in sandbox mode, so I see no reason to keep rayquaza from attaining anything goes power. Finally, I noticed a glitch with the medicine merchant. 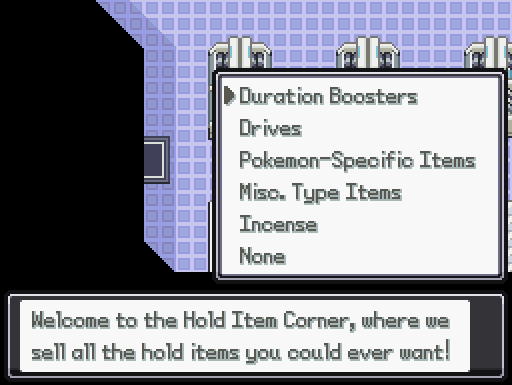 If you go to the in-battle booster items section, which has all the X - items, the game crashes. I believe this is because (or at least from what the crash screen told me) XDEFENSE isn't a proper name for an item (I'm assuming it must be listed as XDEF. in the game data), thus the game doesn't have data for an XDEFENSE so it crashes. Heck yea this is sweet! Do the shops include reborn-specific items like data chips and soul candles? how hard would it be for you to port this room over to rejuvenation? Wow this is amazing. Monotype runs are gonna be so easy to do now. This needs to be pinned asap tho. The only reason I haven't included a way to modify IVs is because... I actually don't know how. Wouldn't you believe it, Sandbox Mode actually took the bare minimum effort to make, and requires barely any heavy lifting to do stuff. 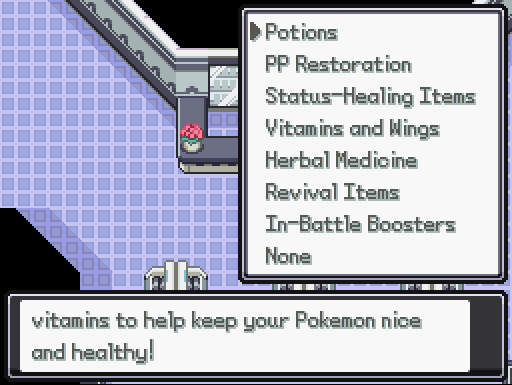 Unfortunately, modifying IVs on Pokemon would require some sort of way to pull it out of Essentials's Debug Options and bind them to an NPC, but I have no idea how to do that at all. If someone proficiently skilled in RGSS would have an idea of how to do it, I'd absolutely love the assistance in implementing it! As for warps... Maybe? One thing I could do is have it bound to the start menu, and it would save the player's current position, then when they leave it would return them to that exact spot. I'll think it over and see if I can get help working out something. I copied over the tutors that was informed existed, so if Iron Head is one that exists it's possible that e16 removed it, I wasn't told its location, or you might have missed it- i'd put more stock into the first two choices though. As for Dragon Ascent, I'll look into it since you do make a valid point. 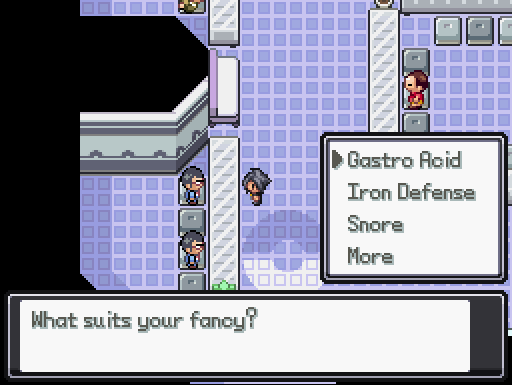 I actually forgot that Mega Ray Charles Rayquaza needs Dragon Ascent to go Mega, so it'll probably be in the next version. And thanks for pointing out the XDefense bug! I'll fix that right away. I'll create a second download link when the next build comes out, thanks for reminding me! As for Rejuvenation? Probably not as hard. At the very least, I should play it first and probably ask Jan for permission before I even consider it. I haven't gotten around to actually playing it yet due to other distractions, but it's on The List:tm: of games to play. I'm glad there's been such a positive reception to this, though! I was a little worried that it might not be as positively received, mostly because people tend to frown upon modes that make games 'easier' for whatever reason, so seeing people enjoy it has been a nice relief. This tutor was just added at the end of episode 16. 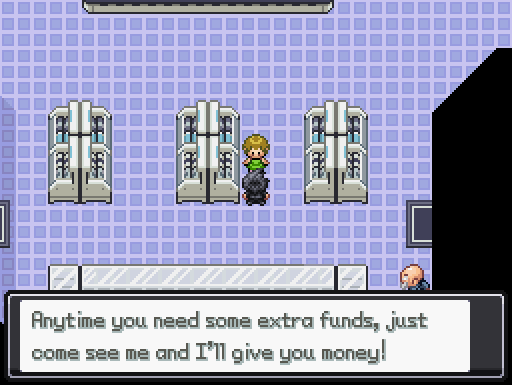 He is supposed to appear after you have bought all of the pokemon from the shady Dealer in 7th street and returned to Reborn City. He takes up the empty stall nearest the elevator (or lowest left stall if you are in Aqua). He teaches Iron Head, Knock off, Mega Drain, Aqua Tail, and Signal Beam. Although I have yet to try it out, I have liked the idea of this mod since the start. Thank you for providing this resource.